At the end of the First World War, the scale of suffering and loss was without parallel. 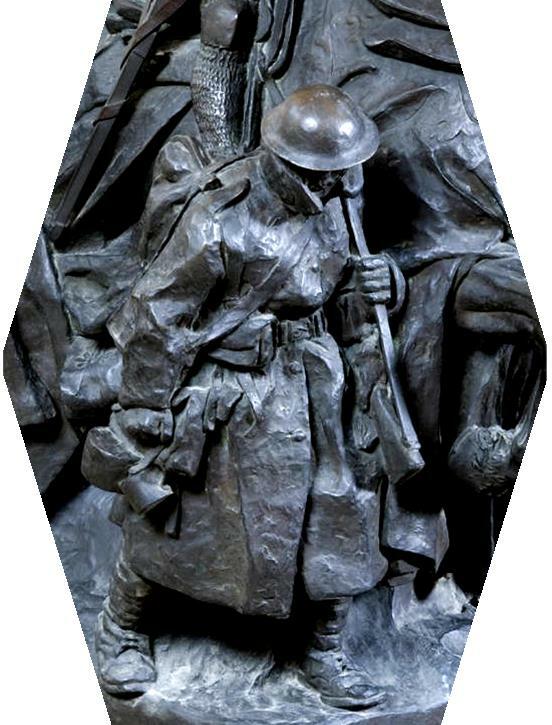 Individuals and communities sought to commemorate those that they had lost through erecting memorials, and the skills of artists and architects were called upon to express this need for remembrance. 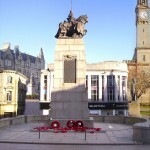 The Paisley War Memorial was designed by Sir Robert Lorimer, one of Scotland’s leading architects and designer of the Scottish National War Memorial in Edinburgh Castle. 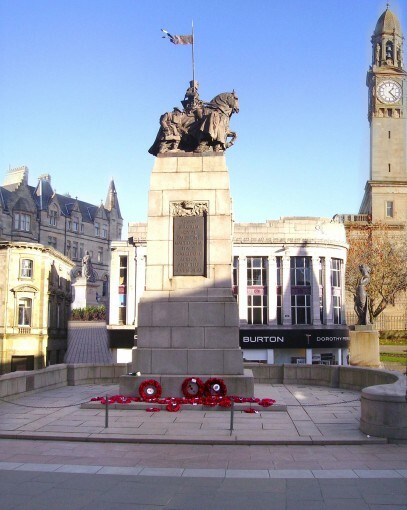 The bronze sculpture on top of the plinth is ‘The Spirit of the Crusader’ by Gertrude Alice Meredith Williams. 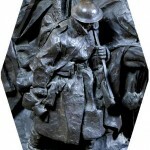 It depicts a mounted knight accompanied by his modern-day counterparts – four grim, tin-hatted and caped infantrymen. 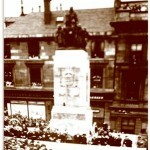 The memorial was unveiled on 27th June 1924. A crowd of 20,000 assembled at the unveiling to commemorate the 1,953 men of Paisley who died on active service in the Great War.